Ex-Pat's and Geno's: Stuck in my head: Placebo, "Pure Morning"
Stuck in my head: Placebo, "Pure Morning"
One of the suggested videos at the end of the White Town video from the other day was Placebo's "Pure Morning." The reminder of how much I love this song could not have come at a more appropriate time, as I'm exploring my fascination with gender-bending drag queens and reviving my passion for all-black clothing and nail polish. I remember exactly where I was when I first heard this song; it was also the first time I saw the video. I was at my dad's house on 17th Street, laying awake in the big bed. He was passed out on the couch in the living room, snoring. My insomnia started when I was in sixth grade, maybe even earlier. Actually, it wasn't quite insomnia, but I made myself stay up as long as possible every night. Dad was never very good at locking the door (or, you know, even closing it) and one night someone came in (you can't use the term "broke in" when the door is unlocked) and stole a bunch of stuff. That terrified me and when I was at that house, I was never really able to sleep comfortably. So, I watched TV – a lot of it. This was back when MTV still played videos. It was absurdly late, and I was dozing off. Then "Pure Morning" came on. It felt like lightning struck me – suddenly, sleep wasn't an option, not at all. 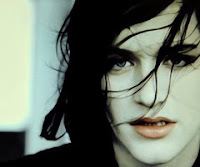 This thin, pale, androgynous beauty with the black hair and fingernails I desperately wished to have was about to jump. His... her... his voice whined about friends with weed being friends indeed and bit his lip and stared at the transfixed 14-year-old American girl. I fell in love. It felt wrong. But the song and the man singing it were utterly intoxicating. I was confused. I was transfixed. Over the years, Placebo popped up in my playlist here and there, catching my attention again when they tagged David Bowie for the remix of "Without You I'm Nothing." It wasn't until I became friends with Sara Heindorf and began the year of concerts in 2007 that I revved up my love for this band. Sara loved Placebo, made me a mix CD of her favorite songs, had an extra ticket to their show at the TLA on South Street (still my favorite concert venue), and needed someone to share in her passion for Brian Molko. I was relieved that someone else shared my fascination; for this and other reasons (like speeding down 76 to the Fat City apartment on 4th and Lombard after a night at Grape Street, screaming along to "Meds"), I'm glad I had Sara in my life then, especially on the night of that show. Hands down, Placebo was one of the best concerts I've attended. Their sound is cinematic and loud for a three-piece, in the same vein as Muse is today. On stage, Molko's not as moody and brooding as one would expect for all of the black clothing and minor-tuned melodies. He's charming. And he smiles. I'll always remember him smiling on that stage, looking out at the crowd, seemingly bemused by our adoration and feeding off the energy in the room. Ummm, awesome. I'm still obsessed with Placebo, because they are as amazing as you say in this article. I'm glad I could bring you back together with Brian!! Also one of my fave concerts ever, at the best venue ever. Stuck in my head: White Town, "Your Woman"